Google is preparing to release the third-generation Pixel smartphones later this year. The company has been trying to establish a foothold in the hardware business for years, but it has tasted limited success so far. The upcoming Google Pixel 3 and Pixel 3 XL could help establish the search engine giant as a serious player in the smartphone industry. Leaks and rumors about the Pixel 3 have been circulating for months. Let’s take a look at the rumored Google Pixel 3 specs, design, and release date. Google has acquired part of HTC’s smartphone division to bolster its expertise in smartphone design and development. The current Pixel 2 and Pixel 2 XL are among the best Android phones on the market. They have been praised for their camera and smooth performance. The Pixel 3 and Pixel 3 XL will undoubtedly be the first phones to run Google’s Android P software. The company is currently beta testing the new operating system. Android P deeply integrates AI and machine learning into all aspects of the interface. It will use AI to monitor your habits and shut down the apps you are unlikely to relaunch anytime soon to preserve battery life. It will also offer Digital Well Being to give you a full picture of how much time you spend on your phone and within individual apps. You’ll be able to set daily time limits on each app. Android P will also bring gesture navigation to Google Pixel 3 via the new Home button. Users can swipe up from the bottom of the display to view the open apps, along with the most used apps. A second swipe up will bring the apps menu. 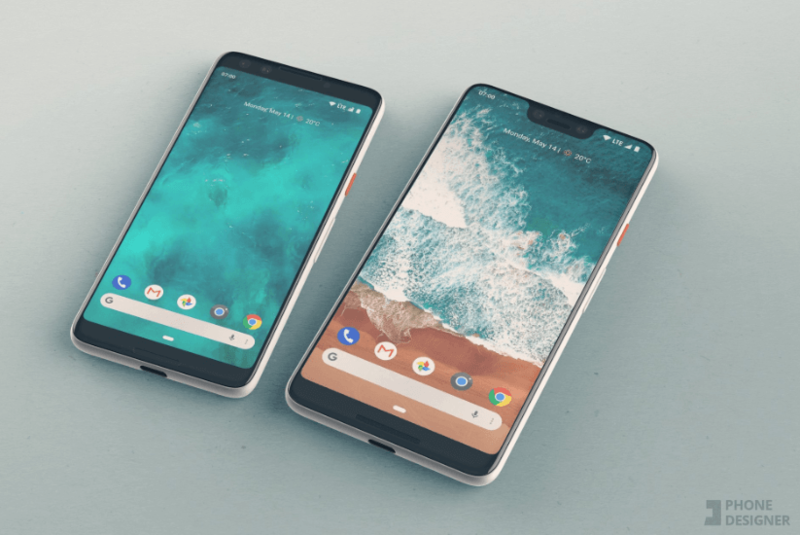 Google Pixel 3 design: What will it look like? Let’s admit it. The previous two generations of Pixel phones had a boring design. But Google could shake things up with the next-gen Pixel 3. According to Bloomberg, the larger Pixel 3 XL will sport a display notch similar to the iPhone X. It will also have an edge-to-edge design, though there will still be thin bezels at the top and bottom. Its notch will be taller and narrower than the iPhone X. Bloomberg’s report was further confirmed by the recently leaked prototypes. The regular Pixel 3 is said to launch without the notch. The rear panel could be crafted of a different material than metal. A close look at images shared by XDA Developers suggests that it will be a combination of glossy and matte glass. Leaked images have confirmed that the Pixel 3 will launch without the 3.5mm headphone jack. Other Google Pixel 3 specs confirmed by the leaks are stereo speakers, a rear fingerprint reader, a dual front-facing camera, and a single rear camera. Google will continue to source the P-OLED display for Pixel 3 and Pixel 3 XL from LG Display. Yes, LG will be supplying the notched screens for the Pixel 3 XL. Recently leaked screen protectors suggest that the larger Pixel 3 XL would sport a 6.2-inch P-OLED display and the regular Pixel 3 will get a 5.3-inch display. We expect Google and LG Display to resolve most of the display-related issues such as bluish tints and burn-in problems that haunted the Pixel 2 XL. The issues received a lot of media attention, and turned off many potential buyers. Google was even forced to broaden its warranty on the devices. Google Pixel 3 specs: What about wireless charging? Google Pixel 2 and Pixel 2 XL were among the rare premium smartphones that lacked wireless charging capabilities. Leaked images have already indicated that the Pixel 3 would have a dual tone glass back rather than a metal and glass combination. Google might be switching to all glass back to facilitate wireless charging. Recently, folks at XDA Developers found a feature related to wireless charging hidden in the Android P beta code. The software has a service code-named “dreamliner” that appears alongside battery status changes. The service is not related to any of Google’s existing Android features. Google used to offer wireless charging on Nexus 5 and Nexus 6 devices. 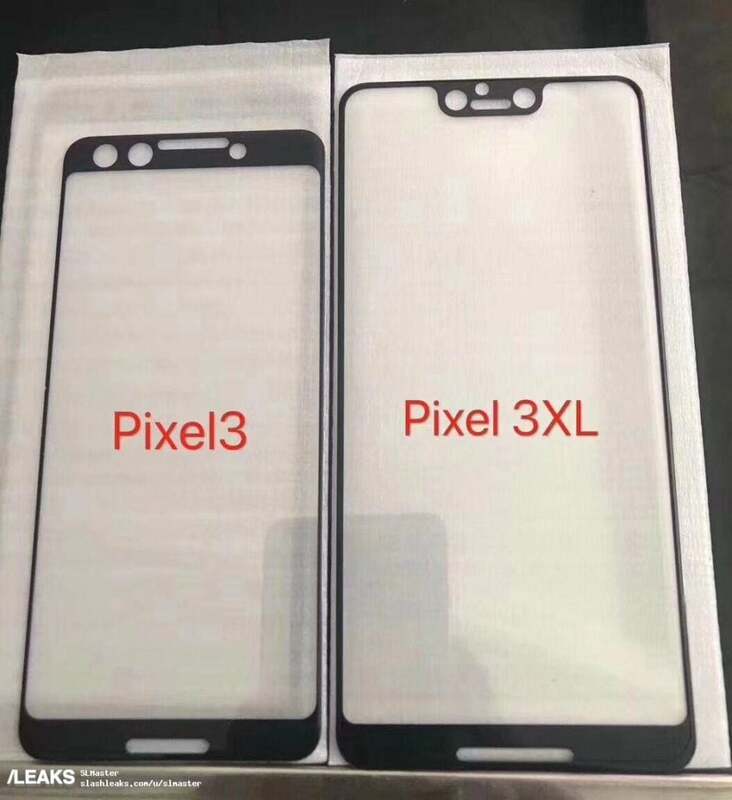 According to Bloomberg as well as leaked images, the Pixel 3 and Pixel 3 XL will have dual cameras on the front. That’s quite surprising considering there will be only a single lens on the back. Google uses AI and machine learning to take portrait images with a single camera on the Pixel 2 handsets. So, it’s unclear why the company is adding a second camera on the front. If it wanted to offer portrait selfies, it could have done so through AI. Google could use the second front camera for facial recognition and augmented reality. We should also expect the company to improve the rear camera. The Pixel phones are known for their camera capabilities. Huawei has raised the bar in smartphone photography with its triple camera P20 Pro. Google will want to at least keep up with Huawei, Samsung, and Apple, if not beat them. Google controls both the hardware and software of Pixel phones, except the processor. So, it will be able to better optimize the performance than third-party Android vendors. The Pixel 3 is said to have at least 4GB RAM and 64GB of base storage. The larger Pixel 3 XL could pack 6GB RAM. There will also be a 128GB storage variant. Both the models will be powered by Qualcomm’s Snapdragon 845 processor. The upcoming phones will also offer the Active Edge technology that allows you to launch Google Assistant by squeezing the phone. Google is said to be working on three Pixel smartphones for this year. They are code-named Blueline, Albacore, and Crosshatch. Indian publication Economic Times has learned from sources that the third model would be a budget smartphone aimed at emerging markets such as India. It would have a mid-range price tag. The budget Pixel phone will likely be part of Google’s Android One initiative that promises a stock Android experience and two years of software upgrades and security patches. It would launch sometime in July or August. The budget model is unlikely to launch in the US. Google released the original Pixel and Pixel XL on October 4th, 2016. The second-generation Pixel phones were unveiled exactly a year later on October 4th, 2017. Bloomberg has reported that the company was planning to unveil the Pixel 3 and Pixel 3 XL in October. We expect the unveiling to take place once again on October 4th. Recent reports claimed that Verizon would remain Google’s exclusive carrier partner for the Pixel 3, though you’ll also be able to buy unlocked models directly from Google Store and Project Fi.